Mondo Macabro's second foray into high definition is a good one! A bit different for a company steeped in older genre films, this time they're rollin' out the red carpet for a modern film, Sean Hogan's 2011 production The Devil's Business. Two hit men break into a house to carry out what should be a relatively easy job; taking out one man. But unfortunately for veteran hitman Pinner (Billy Clarke) this is no ordinary job, making matters worse is the inexperienced "new guy" he's stuck with (Cully; Jack Gordon) who doesn't seem to do anything right. The two camp out in the quite house waiting for a man name Kist (Jonathan Hansler) to return, as the hours pass they confide in one another sharing various stories about the job. Eventually Kist shows up and with a quick shot to the head business is done. Or is it? 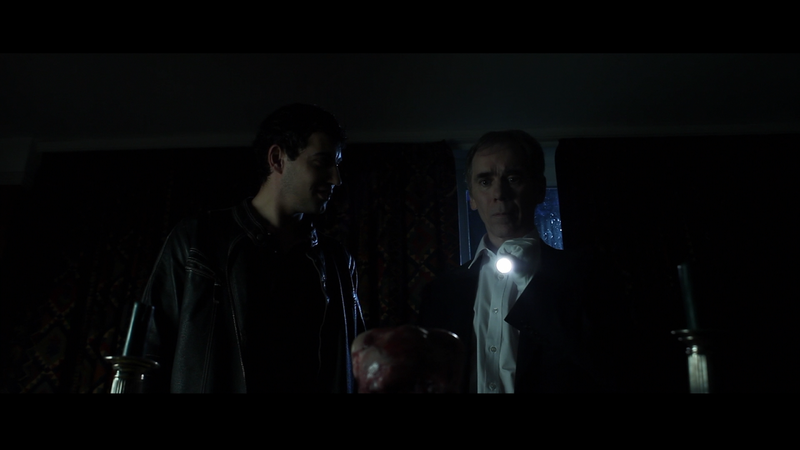 The bumbling Cully leaves his watch behind, when the two go back to retrieve it they find that Kist's body is gone. Could this be the work of a rival gang or something a little more supernatural? 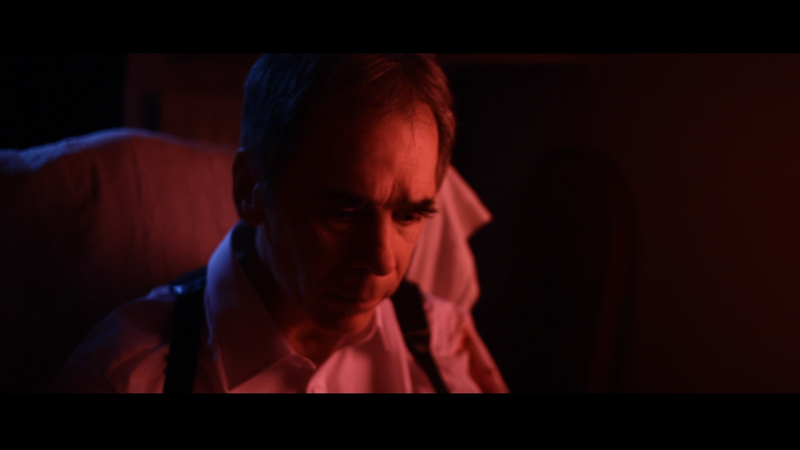 The Devil's Business is a very moody film that relies on shadows, tension, and mystery to deliver the horror as opposed to the more common "jump scares." Billy Clarke is PHENOMENAL in his role as the "been there, done that" aging hitman and Jack Gordon does his best to keep up playing the somewhat sympathetic (and slightly pathetic) Cully. The direction is tight and the cinematography is very reminiscent of the Italian horror films of yore with a palette of lush reds blues. 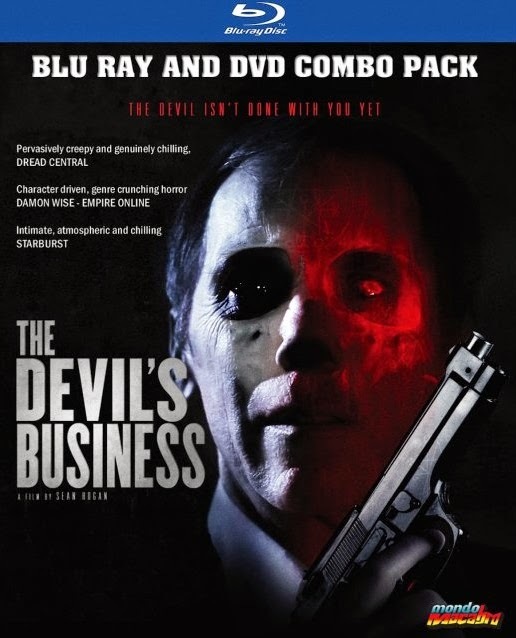 The Devil's Business was a real surprise, it's a very atmospheric film with an extremely strange yet satisfying climax. The Devil's Business looks and sounds excellent. The film mainly takes place in a very dark house, as such you can image there's a lot of black. Thankfully the black levels are right on target and there's a surprising amount of detail in the picture. The audio available is a Dolby Digital 5.1 HD track. The mix is nice and even with a solid balance between the soundtrack and the dialogue. 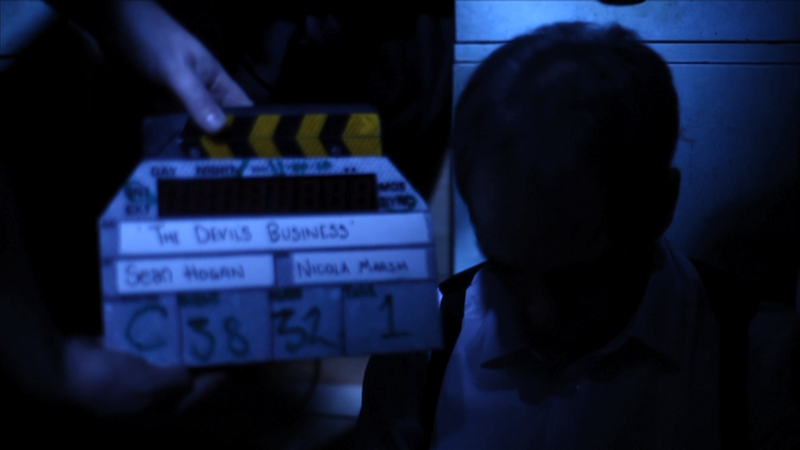 Devil's Business EPK (09:21 HD) - This is a short featurette on the film with various clips and interviews. Interview with Actor Billy Clarke (13:05 HD) - The actor gets into a range of topics including his career, working with Sean Hogan, and the filming of his lengthy monologue for The Devil's Business. Interview with Writer/Director Sean Hogan (26:21 HD) - A nice lengthy interview with the director! 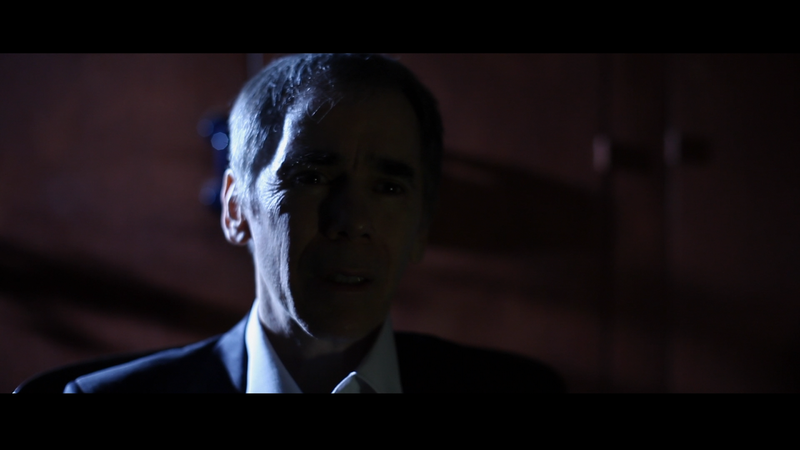 Hogan discuses The Devil's Businiess, his other films, and his time in film school. Interview with Producer Jennifer Handorf (12:34 HD) - The producer discusses her work with the director; how a producer from the US hooked up with a director from a different country. Interview with Composer Justin Greaves (16:02 HD) - The veteran musician from the band Crippled Black Phoenix gets into his work with The Devil's Businiess. Outtake Footage (0:54 HD) - A very brief outtake that's completely spoiler-rific! More from Mondo Macabro (09:37 SD) - A lengthy amalgamation of trailers from various Mondo Macabro releases. Much like their last blu-ray, Mondo Macabro gives The Devil's Business a truly commendable release with a great high definition presentation and a fair share of extra features. The film itself is excellent from start to finish and is sure to please any genre fan who's tired of the washed up "jump scare" antics of some of the more mainstream modern horror films.